… you put a company’s logos on a project without their permission. 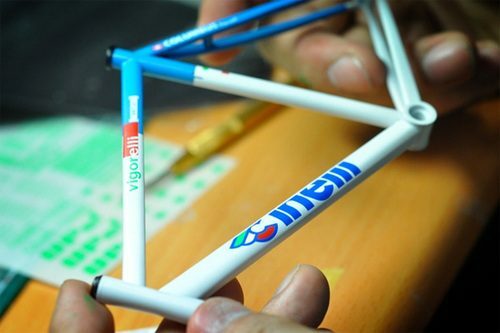 Hypebeast reports that those little Cool Rain figurines that came with a Cinelli Vigorelli were done without the permission of Cinelli. Look guys, it’s obvious Cinelli is in the loop, so why do that? You didn’t think you were gonna get caught or something? haha. At least Cinelli offered to do an official collaboration after they found out about the figurines. Most other companies would have been getting their international lawyers ready.